There are just too many tobacco farmers; too few other opportunities in Malawi, and too little demand for tobacco globally. Now things are set to get considerably worse. By GREG MILLS and DICKIE DAVIS. Michael Kamzawa’s situation perfectly illustrates Malawi’s challenge. Surrounded by children in the village of Chikasauka 50kms north of Lilongwe, Kamzawa, 64, tells us that he would like to be selected for the Integrated Production System – known universally as the “IPS” – to boost his tobacco farming. Using fertiliser and seed supplied by the local tobacco trading houses, and the expertise of their “leaf technicians” criss-crossing the country on their 125cc Chinese-made motorbikes, this would raise both the yield and quality of his burley leaf, and hence his income. But his immediate problem is that he has not been selected as part of the programme. The world’s tobacco market is just too small, and there are too many tobacco farmers in Malawi to accommodate everyone in the IPS. His wider problem is that government intervention in the maize market means he cannot get a commercial price for his crop and is thus condemned to a life of hard work and poverty. Michael, and many like him, are getting smoked because Malawi is not getting its agricultural act together. At independence in 1964 Malawi was a bit player in the world tobacco industry. By the 1980s it had become a major producer of air-cured burley tobacco, popular in American-blend cigarettes, complementing the Virginia flue-cured type produced in neighbouring Zimbabwe. Relations between the farmers, government and buyers were carefully regulated by the Banda regime in Malawi to ensure control of both quality and quantity. Whereas Zimbabwean tobacco production grew from 60-million kilograms in 1980 to a record of 2,340-million in the 1998 season, Malawi’s burley production grew by almost 500 percent to 100-million kilograms between 1980 and 1992. Then it all fell apart. As Hastings Kamuzu Banda’s dictatorial rule faltered in the early 1990s, the World Bank urged liberalisation of the market to pump up tobacco production. This led to the introduction of so-called intermediate buyers, “Jacks and Jims” as they are parodied locally, as conduits to the auction floors in addition to the traditional trading houses. The result was an end to the carefully planned and regulated stability; many more smallholders started to grow tobacco and overproduction followed, matched by a dramatic fall in the tobacco price. Although the intermediate buyers have now been officially outlawed, they remain on the scene today, tempting the likes of Michael to grow tobacco but paying as little as 25 percent of the market value, and encouraging overproduction of inferior grades. As a result the harvest has seesawed dramatically: 123-million kilos in 2006 to 84-million the following year, 169-million in 2008, 208-million in 2009, 193-million in 2010 and another high of 208-million kilos in 2011. The high saw the price fall from $2.36 per kg in 2008 to upper a $1.13 per/kg price in 2011. As a result the 2012 crop was just 65-million kilos, after which the price recovered to $2.05 per/kg. The global demand for Malawi’s burley brand is at 140-million kilograms annually. Any more than that and the price paid for the crop edges perilously low to the estimated cost of production at about $1.50 per/kg. As a result of these wild swings, and in trying to get a grip on the industry, the government agreed to allow 80 percent of global tobacco sales (based on the 140-million kg figure) to be contracted directly between the trading houses and the farmers. Under this scheme, the IPS, for a small deposit the farmers would obtain fertiliser, seed and technical knowledge provided by tablet-equipped, motorcycle-riding extension officers. In return, they would sell for a guaranteed price to the trading houses. This was deemed a win-win, not only on grounds of quality and quantity control, but also since the tobacco industry was interested in improving compliance. Through careful screening of the farmers, wider issues have been tackled – getting rid of child labour, ensuring good agricultural practices, weeding out any non-tobacco-related material such as plastic from the product, and improving environmental sustainability through, for example, the widespread planting of forests. The big benefits to the farmers were higher yields and more stable prices, leading to higher returns and the beginning of a cycle of improvement to help lift them out of poverty. At current prices, for example, IPS farmers will earn about $1,000 per hectare in sales after the deduction of the cost of seeds and fertiliser – and after the government has taken $380 in taxes, levies and transporters collect for delivering the produce to the markets. The IPS package additionally includes seeds and fertiliser for half a hectare of maize for food security and legumes such as soya or groundnuts for each hectare of tobacco farmed, which provides a source of additional income. For the farmer, the difference can be seen in the plight of Michael Kamzawa who was getting, outside the IPS system, “seven to eight bales”, he said in his native Chichewa, and “ten oxcarts of maize” per hectare, compared to his near neighbour Gabriel Kumandakuyitana (literally, “the grave is calling”), 33, who had increased his yield from 10 bales (each about 90kg) per hectare to, following his IPS contract, 23 bales. When combined with the crop rejections, on grounds of quality, suffered by those outside the IPS and the lower price, in 2015 non-IPS farmers got $1.45 p/kg compared to $1.71 p/kg of the IPS contract farmers, the difference in fortunes is stark. The problem is that there are just too many farmers – or put differently, too few other opportunities in Malawi, and too little demand for tobacco globally. This is why Kamzawa and most of his fellow villagers are not on the scheme. Now, things are set to get considerably worse. Malawi faces a stupendous population increase over the next 35 years. Its population at independence in 1964 was just 3.8-million. Fifty years later it crossed the 16-million mark, and it is projected to rise to 50-million by 2050. Such growth will place considerable pressure on land. In the central region the average farm plot is about one hectare. In the south it is half this size; where population growth is, in the words of one commercial farmer, “15 years ahead of the central region which is, in turn, 15 years ahead of the north”. While the farmers usually want more land, as Gabriel put it, “The chiefs have no land any more” to distribute. And the pressure for land is increased because the yields are so low due to poor farming techniques and inputs. Malawi is already officially the world’s poorest country in terms of per capita income, just $255 in 2014. Malawians are on average seven times poorer, statistically, than Zambians. Yet Zambians, who in 2014 earned $1,700 per person, are already very poor by global standards. Still, statistics aside, the difference between the two countries is stark. The journey from Lilongwe along the M12 to the border post at Mchinji illustrates a country operating at a low ebb. Throngs of walkers line the narrow 120kms road, along with suicidal bicycles heaving tottering loads of firewood, beams, sugarcane, charcoal, woven mats and the occasional goat from myriad scruffy small towns: Mphandula, Kamwendo, and Kahona among them. Tired-looking maize grows by the edge of the road, the villages a scruffy collection of stalls and shops, rubbish and the occasional burley barn, small wooden structures where tobacco is hung for drying. The chaos increases as the road approaches Mchinji, the border town with a relative excitement of trucks, piles of bricks, notices for international NGOs, several petrol stations, an insurance agency and armies of touts, its centrepiece a 1970s-style brick structure where passports are stamped with a surly thunk and where giant ledgers apparently keep control over vehicle movements. The road condition worsens, the verges become cratered with potholes appearing with staccato frequency – not for nothing are Malawian drivers referred to as holding “PhDs”: Pot-Hole Dodgers. Through the creaky boom and the chaos of the Mwami border “control”, and on the road to Chipata, the difference with the Zambia side is stark, with its Shoprites, Spars, fast-food joints and smart new petrol stations. It’s like Switzerland by comparison, the difference between endemic poverty and having some money. It’s not just Zambia. New competitors have emerged, including in next door Mozambique, once also the world’s poorest nation, with a per capita income of just $160 in 1996. Yet Malawi’s GDP as a share of Mozambique’s has fallen from 150 percent in the mid-1980s to less than half today. Mozambique’s rise reflects partly the peace dividend during the 1990s, and partly its natural resource endowment. But the most impressive turnaround has perhaps been in Tete Province backing onto Malawi, where Mozambique Leaf Tobacco (MLT), a subsidiary of Universal Leaf which dominates the Malawi market through Limbe Leaf Tobacco, started an outgrower scheme in the early 2000s. Rod Hagger, 62, has spent most of his life in the tobacco industry in Malawi. In 2003 he was recruited to establish a factory in Tete for MLT which the company had promised to the government once it reached annual burley tobacco production of 25-million kilos. The difference from the start in Mozambique was it was “100 percent outgrower, contract farming based. MLT financed the farmer,” observes Hagger, “provided the inputs, set the price with government, and picked up the tobacco from the baling centres.” The Mozambican plot size was smaller, about 0.6ha on average, and the yields generally lower due to the use of less fertiliser. The absence of associations or unions taking a layer of income from the farmers meant however that “the returns went straight to their pockets”, unlike in Malawi. Moreover, the fresh start meant that compliance on farming practices was possible from the start, making the product attractive to hyper-sensitive Western cigarette companies. Today Mozambique produces 85-million kilos of tobacco from 130,000 farmers, positively affecting the lives of more than 1.2-million people. Five hundred ML leaf technicians, more extension officers than the rest of Mozambique put together, and seasonally up to 5,500 other agronomy staff are there to ensure the yields, and returns keep rising. A second processing line has been put in at the Tete factory. Its success has, however, brought down the production ceiling for Malawi. But Malawi’s plight today is not because of what others have done, but rather what Malawians have done – or more precisely, not done. The answer to its jobs and income crisis does not lie in more aid. The donors already provide an equivalent to a stunning quarter of Malawi’s GDP. Success will not rest on what existing companies can do more for Malawi, even though, as ever, they can help. It lies in what Malawi can do for itself. The government is apparently aware of this. A leading Malawian politician identifies three major challenges: environmental degradation, high population growth, and rural-urban migration of about seven percent annually. With looming maize shortages of 1.3-million tonnes in 2016, he asks “if we are failing to feed 17-million people now, how can we feed 30-million people in 20 years time?”. The answer, he says, lies in three actions: food security, exporting the surplus and moving into agro-processing and ultimately other forms of manufacturing. For a country where 90 percent are dependent for income on the agricultural sector and 80 percent live in the rural areas, the big opportunity, commercial farmers seem to agree, is unsurprisingly in maize and other staple production. The solution to Michael’s Kamzawa’s problem lies in the depoliticisation and liberalisation of the maize market. The challenge in realising this, however, relates in part to an absence of land tenure and the inability thus to raise finance, but principally they say to the pricing structure and the role of the government agency Admarc, whose routine dumping of maize is not only costly for the fiscus, but drives the price down. This trend is exacerbated by export bans. “Cheap food undermines the economy, the beneficiaries of which are the three- to four-million urban Malawians at the cost of four-million farming households”, says Jimmy Giannakis of Farmer’s World, echoing a widespread opinion. Instead, there is a need to increase market pressure “to take supply and demand closer to the edge” by liberalising the maize price. One way to do so would be for government to announce that it will buy maize, when and if it chooses to, at the prices on Johannesburg’s SAFEX market where maize, for example, was trading at $316 a tonne in April 2016 when it was being sold in Malawi for $200. Government’s role would be to ensure a safety net for the most vulnerable, and to forecast and monitor assiduously to avoid the sort of policy flik-flaks that have characterised Malawian maize policy. The politically-attractive subsidy scheme introduced by the late President Bingu wa Mutharika and hailed as a major contribution by many donors to food security – even though it was unsustainable and depressed the price – being one such example. Until now, political interests have been in cheap maize even though the economic interests of the farmers – and thus Malawi per se – are in a more expensive staple. Get the pricing right, and quantities and yields will rise as the farmer responds, say the experts. And there is always the opportunity of regional exports since “one or another regional market is always misfiring on maize production”, says Giannakis. To gain access, however, greater effort will have to go into reducing transport costs, which are $4,400 for a container from Lilongwe to Beira, just 950kms away. This means, too, addressing the stupefying inefficiencies of the border posts, Mwami and Mchinji included. There are many risks in not getting agriculture better organised as the current national “disaster” declared as a result of poor maize harvest highlights, an emergency more to do with policy than, despite the government’s claims, the weather. But these risks are not just on account of Malawians and their politicians. There is a threat of business becoming a target in this environment, just as in Zimbabwe. Land pressures in the south have already led to instances of encroachment which, says George Tselingas, a well-known and successful commercial chicken and tobacco farmer, “they are to be expected in a desperate economic environment. We are happy to share it,” he reflects, “otherwise it might just be taken”. But the risk is not only to farmland. International companies which buy, process and market tobacco could also be at threat if a desperate government decided it would like their share, and believes, however misguidedly, it could do the job as well. This would be a very bad idea for Malawi. While there may be some short-term political payoff in redistributing the income of the tobacco companies, the long-term cost would be considerable. And there are other places to get supply. Zimbabwe’s tobacco production fell to 60-million kilos as a result of the farm seizures in the early 2000s’ losing a great deal of income along the way and destroying investor confidence. Rather, there is now opportunity to improve compliance on a range of issues that matter to international buyers and manufacturers and, through this action, take away market share from others less agile, raising global demand for Malawi’s annual burley crop to about 200-million kilograms. As with maize, however, this requires having a plan, and working with the private sector rather than against them. And to do anything, to shift policy and practices in a more positive direction, a government has to share the pending sense of crisis. 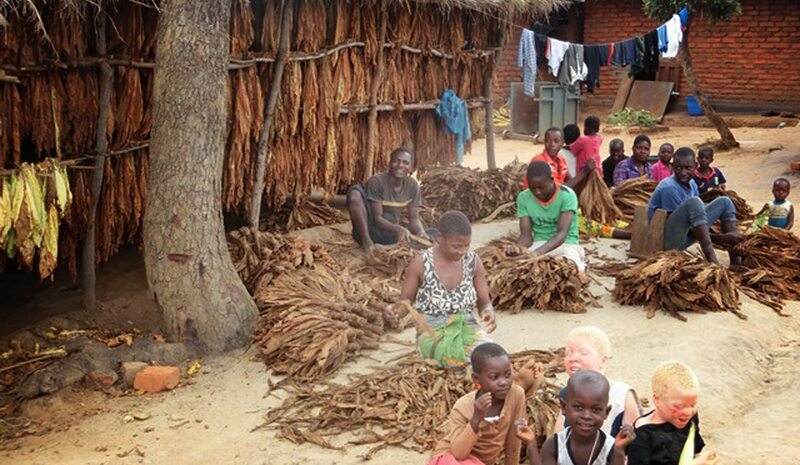 For all of its challenges, tobacco still comprises about two-thirds of Malawi’s foreign income. There are an estimated 300,000 tobacco farmers, each with an average of five dependents. Seven farmers met at the newly-built dam in the district of Mponela. All bar one had failed, so far, to get on the IPS scheme. Still, without tobacco, they all agreed, they would be “in poverty”. The crop was the “backbone of the economy”, they nodded. One, Samson, who appeared stage left wearing a white tie, white leather shoes and red suit with “Today’s Man” on the pocket, said that without tobacco they would have to “walk around naked”. Mills and Davis are with the Brenthurst Foundation.